Written by Mary Corcoran. Posted in Pacific Islands. 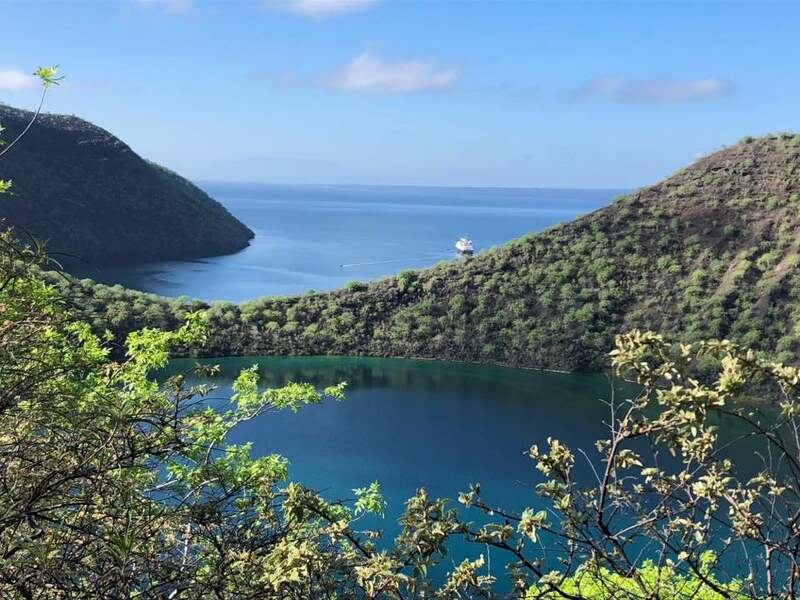 Bill and I were joined by 4 other Half Moon Bay couples on a life-transforming journey to the Galapagos Islands this month. 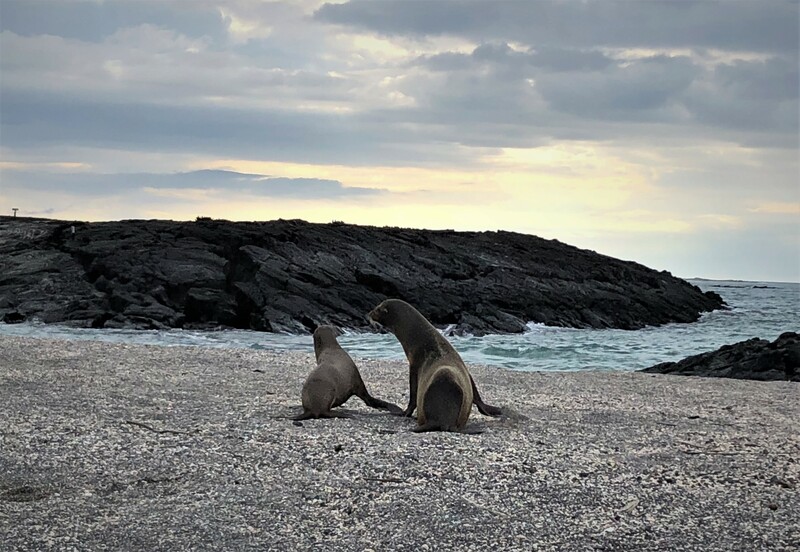 As a travel advisor, I looked at many options and ways to experience the Galapagos – and was completely swept away by Silversea’s expedition itinerary aboard the lovely Silver Galapagos. • Opportunities to snorkel, kayak, walk, zodiac – all included, two times per day every day. 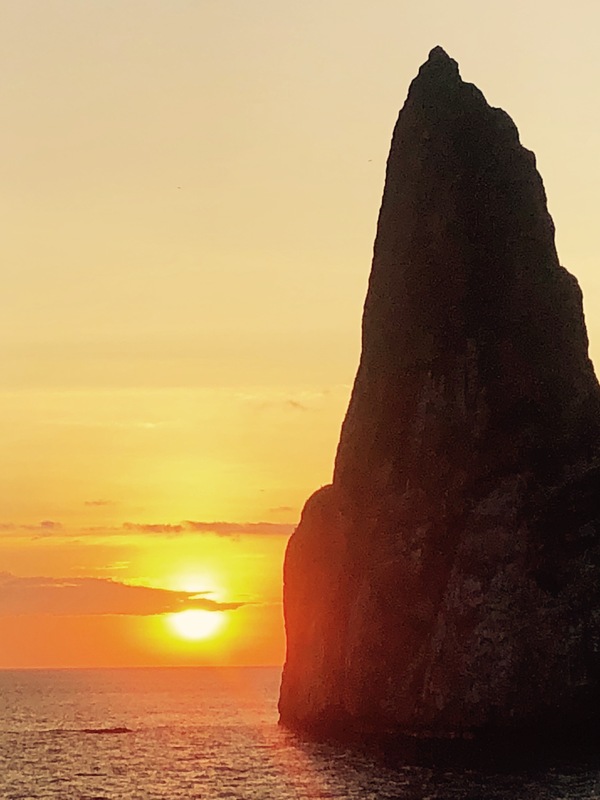 On our week cruising around the islands of San Cristobal, Isabella, Fernandina, Floreana, Santa Cruz, Bartolome, Baltra, and the breathtaking sunset over Roca Leon Dormido we spotted so much wildlife it was almost overwhelming. It was also a special honor to share this experience with friends and neighbors from our community. We created a bond that only a special shared experience can build. In fact, we couldn’t wait to get home and see the video created by our onboard photographer while enjoying a wonderful Ecuadorian meal together. We even learned a few culinary tricks from the Silver Galapagos chef that we showcased at our Half Moon Bay dinner. I’d highly recommend a trip like this with people you know and who share the same enthusiasm and love of nature. As soon as I got back, I started thinking about what’s next? Personally, I want to go back on Silversea’s expedition ships – the Arctic has special appeal but there are dozens of amazing itineraries. Want to learn more about expedition ship experiences? Don’t hesitate to reach out!